The Duke of York was just 24.8 metres long and 7.2 metres wide. Like most ships of the day, its timber hull was sheathed in thin copper plates to protect it from barnacles, weed and teredo worm, a mollusc that eats timber. It was also fast. In 1821 it sailed from New York to Falmouth in just 24 days. By 1835 the Duke of York was almost 20 years old, and the Admiralty had taken over the packet service from the Post Office and introduced steamships to carry the mails. The South Australian Company bought the Duke of York and another Falmouth packet named Lady Mary Pelham. At first, the Company offered to charter the Duke of York to carry Governor Hindmarsh to the new province of South Australia. However, negotiations broke down and the Company instead decided to buy the Duke of York and to send it whaling in the South Seas after it had delivered passengers and cargo to South Australia. In the oceans off Australia and New Zealand fortunes could be made in whaling. Since the first European ships had arrived in Australia in 1788 they had used whaling as a way to catch a cargo for their return voyages. Whales were boiled for their oil which was carried in timber barrels and sold as a lubricant for machinery and fuel for lamps that lit homes and streets. The Duke of York was fitted with extra boats to hunt whales and large iron pots called try pots to boil whale blubber into oil. The ship had two decks which could be fitted to carry cargo or passengers. It carried thirteen passengers in 1836. It would not have been the most comfortable ship because it was small and it did not have cabins raised above the main deck. 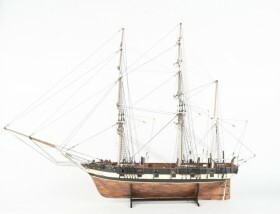 Model of the ship Duke of York. 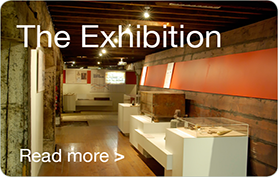 South Australian Maritime Museum collection. Built by Wllliam Taylor at Bideford, North Devon in 1817. Originally rigged as brig but was converted to a barque for its voyage to South Australia.